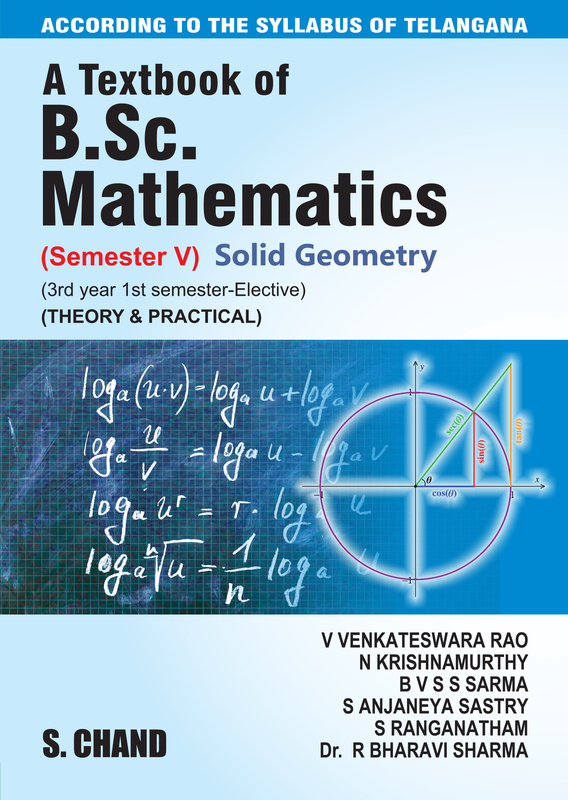 This Textbook of B.Sc Mathematics is for the students studying Third year First semester in all universities of Telangana State. The revised syllabus is being adopted by all the universities in Telangana State, following Common Core model curriculum from the academic year 2016 - 2017 based on CBCS (Choice Based Credit System). 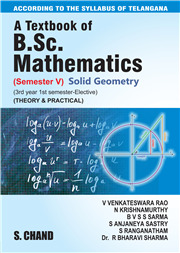 This book strictly covers the new curriculum for Semester V (3rd year, 1st semester-Elective). Solutions are provided for the questions of Practical Question Bank. Key for the exercise problems appended at the end. • The unique features of this book is simplicity of presentation of concepts, principles in a very interesting and lucid manner, which enables the students to understand the subject and solve practical problems with ease. • Apart from this, sufficient solved illustrations are given in a graded manner which would prove a boon to the readers to understand and grasp the subject clearly.